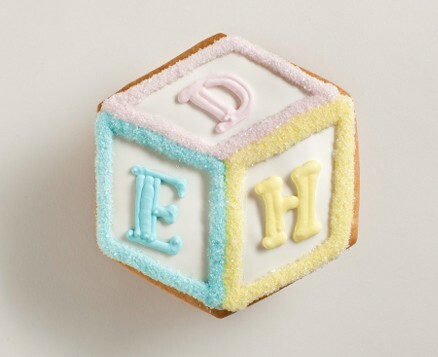 A classic baby toy created with traditional A,B,C or baby's initials. Approx. 5"x4.75" each.